Our growing nonprofit is looking for a public relations intern interested in opportunities to learn through experience in communication and outreach. 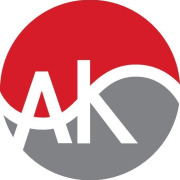 In this role, the Intern will report directly to the Public Relations and Fundraising Specialist, represent AKEEP at select events, conduct research and develop promotional material to promote our mission, services and programs. Volunteers work under the direction of various staff members or other volunteers, who will provide task-specific training. The Outreach & Public Relations Assistant may be able to attend events free of charge or at a reduced price, will receive A-KEEP's newsletter and be recognized in A-KEEP's annual/impact report. The assistant also has the opportunity to learn skills for professional development, interact with members of the community and/or gain leadership experience. Potential volunteers will be required to complete a volunteer form and submit a resume or history of volunteer experience to be considered.